If you’re building, installing, or repairing any permanent structure, it needs to retain its rigidity and integrity for decades to come. Safeguard construction projects from the ravages of weather, normal use, settling, and other factors, with high-quality spray-on polyurea protective coatings and polyurethane foams from IXS Coatings, a proud Society for Protective Coatings (SSPC) member. From flooring and decks to roofing and insulation, our industry experts will find the protective coating or foam solution you need and support your construction project from start to finish. Keep buildings cool in the summer and warm in the winter with polyurethane foam insulation from IXS Coatings, a member of the Spray Polyurethane Foam Alliance (SPFA). Polyurethane foam insulation has a tremendous R-value, making it a great long-term, energy efficient alternative to traditional fiberglass insulation. With its unique chemical formula, polyurethane foam provides environmentally safe insulation that lasts for decades and dramatically reduces your project’s energy consumption and cost over its lifespan. With our innovative spray-on process, application takes a fraction of the time. Contact us today and keep your building project insulated, energy efficient, and on-schedule. As the first line of defense against Mother Nature, roofs are extremely susceptible to abrasion and deterioration. Shield your roofs from extreme heat, cold, rain, snow, and more with spray-on polyurea and polyurethane foam protective coatings from IXS Coatings. With hundreds of projects developed across 55 years in this industry and membership in the Polyurea Development Association (PDA), we have the expertise to deliver customized solutions and support for every roofing project. Our cost-effective coating systems create waterproof, UV-stable barriers that tightly conform to any roof shape, size, slope, or curve, permanently sealing corners and cracks against leaks, both inside and out. Reach out today and we will find the right roofing solution for you. Parking lots endure tremendous stress, including abrasion from tires, corrosion from leaking fluids, and the daily barrage of changing weather and normal traffic. Without a strong protective coating, parking surfaces and structures deteriorate quickly. At IXS Coatings, we have the know-how to keep parking structures of any shape and size stronger for longer. Our advanced polyurea coatings are flexible, durable, easy-to-apply, and watertight. Permanently seal cracks and protect against the harshest elements. To find out how we can quickly and effectively safeguard your parking surfaces and structures, contact IXS Coatings today. Water can cause devastating damage to the foundations of buildings and other structures which may require repairs. The solution is surprisingly simple: guard foundations against harmful water intrusion with seamless, elastomeric spray-on polyurea protective coatings from IXS Coatings. Our spray-on polyurea coatings create a long-lasting, watertight seal around almost any material, including steel, concrete, and wood. Thanks to our fast-curing chemical compositions, application is quick and easy. Our industry experts will find the answer to every water issue you can possibly encounter, so contact us today. Without a strong protective coating, decks that should last for decades can fall apart in just a few seasons due to sun, rain, and everyday use. Shield deck surfaces from damage with waterproof, slip-resistant spray-on polyurea coatings from IXS Coatings. We offer a wide range of zero-VOC, UV-stable solutions that can be color-customized to meet your project’s specifications, including permanently bonding to wood, concrete, and other decking materials. With a unique composition that penetrates and seals even the smallest cracks, every square inch of the deck will be robustly protected. We have the expertise to safeguard your deck projects, so contact us today. Over time, concrete slabs will shift and sink if they’re not properly supported. Give concrete slabs the high-strength, durable support they need with polyurethane concrete lifting foam solutions. IXS Coatings, a member of the Spray Polyurethane Foam Alliance (SPFA), offers environmentally safe polyurethane concrete lifting foam that is specially formulated to withstand the harshest conditions. Whether you’re stabilizing a new slab or lifting an old one, we guarantee it will stand firm for as long as you need it to. 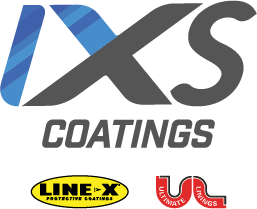 Call us today and let IXS Coatings find the solution that’s right for you. 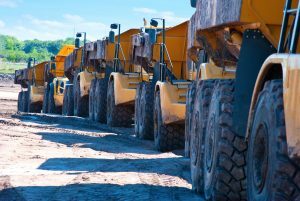 To shield your construction project’s flooring from the negative effects of heavy traffic, equipment, hazardous chemicals, and forceful impact, you need a strong spray-on protective coating. Stop abrasion and staining, prevent corrosion, and extend the life of flooring with spray-on polyurea coatings from IXS Coatings. Unlike common polyurethane coatings that become slippery and dangerous when wet, our quick-drying polyurea coatings are formulated to provide a slip-resistant surface for improved safety and durability. Let us help you customize a solution for your project and keep your flooring protected for years to come. Call IXS Coatings today.